Caliber Nazi’s: Do Not Read This! All these comments are about the Ruger SR22 Auto loader. And these are typical of comments heard in gun stores, on the range, or on the internet of .22 caliber guns in general. And yet, I’ll bet not one of these “gunnies” would be willing to stand in front of my SR22 and let me take pot shots at non-vital areas. I can hit what I’m shooting at. This is the “little man” from a silhouette target. Upper left hand corner. Compare the size with the back of one of my concealed carry permits. 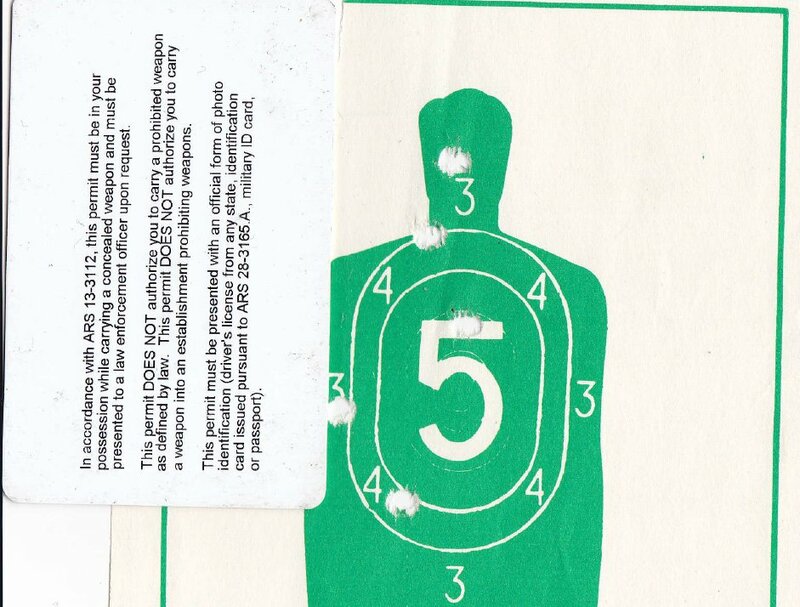 I shot that “group”, which could be concealed by my carry permit, from a standing position, at 15 feet, with a two-hand hold, rapid fire (under 1.5 seconds), and with both eyes open. All five are on target. Hitting and disrupting vital bodily functions determines the lethality of a firearm cartridge. Not size. Size matters if you don’t hit vital spots and you expect the threat to “bleed out” before they can kill you. Size matters more if you can’t hit the broad side of a barn door. Avoiding danger is the primary goal of a good self-defense strategy. If you fail to avoid danger, de-escalation is the secondary goal. Finally, and perhaps unfortunately, drawing and firing your concealed handgun is the last solution. While the mere presentation of a handgun might save your bacon, don’t count on it. Don’t think about it. If you draw – fire. Fire with accurate aimed fire. Fire as if your life depends on it. If you’ve arrived at the situation where firing a handgun has become necessary – your life DOES depend on it. The largest handgun caliber in the world will do you no good if you can’t hit a vital spot in under 1.5 seconds from concealment. But a .22 caliber bullet (or two or three) right between the eyes will change hearts and minds pretty quickly. 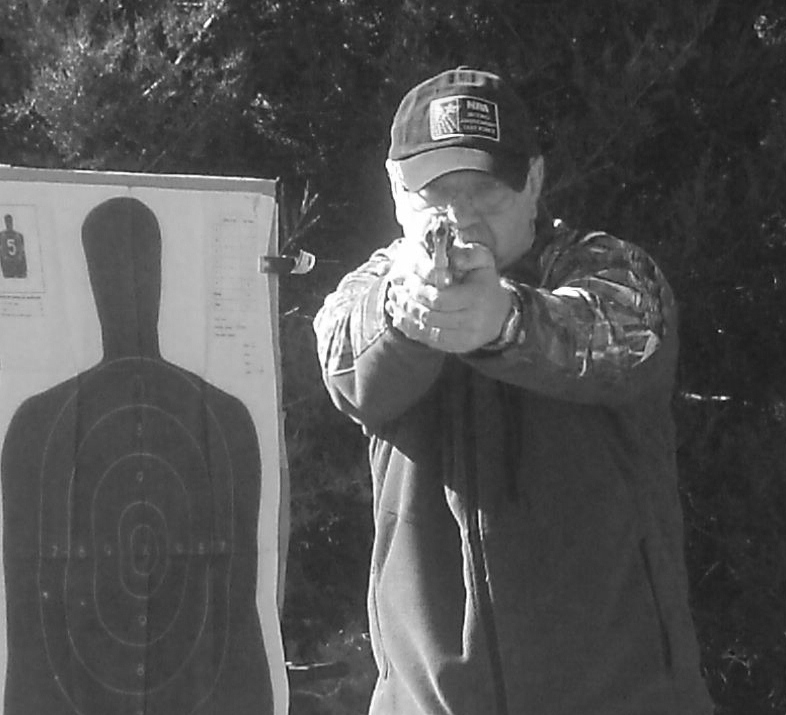 The caliber of the gun you carry doesn’t matter nearly so much as that you “do” carry. And the caliber of the gun you carry doesn’t matter nearly so much as whether or not you can fire quickly/repeatedly with accurately aimed fire. If you won’t carry less than a .45 ACP, or .44 magnum because other calibers are too light – good on you. But if, sometimes, you don’t carry that hogleg because it’s too big or too heavy or too hard to conceal, you are defenseless and caliber naked. 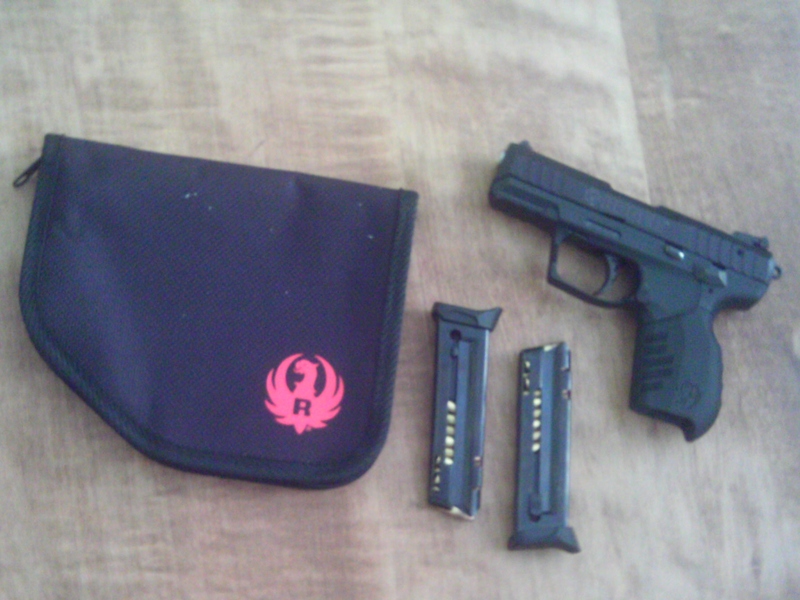 The Ruger SR22 (or any quality .22 caliber pistol) will offer more personal protection, inside your waistband, than the MasterBlaster 5000 that you have at home in the drawer. So if you are a woman, new shooter, old person, or just taking out the trash – or perhaps if you’d like a great defensive handgun – consider the Ruger SR22 as your next BFF.